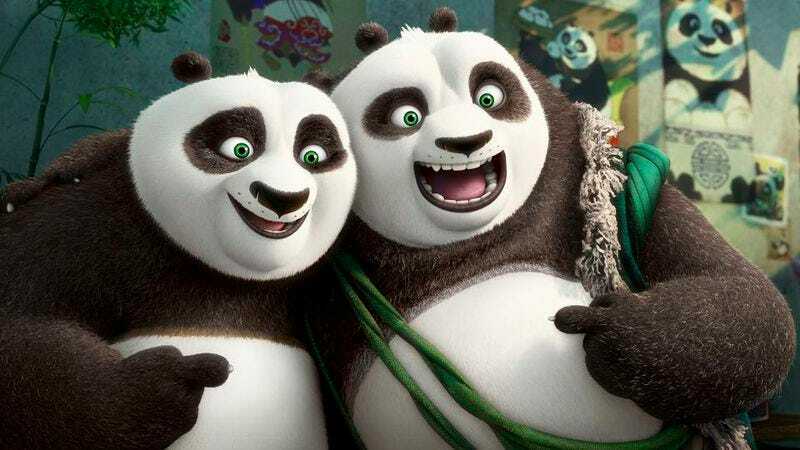 Buoyed by families suffering from cabin fever after snowstorms trapped East Coasters inside last weekend—and the apparently inexhaustible appeal of pandas attempting to do kung fu—Kung Fu Panda 3 made $41 million at the box office this weekend. That’s a new record for animated features opening in January, the sort of arbitrary, highly specific metric so beloved by box-office watchers and football commentators alike. But while critics’ complaints of sameness didn’t hurt Po and friends—again, pandas are super cute—bad reviews did seem to take a toll on the week’s other new releases. Instead, the Jaws to Kung Fu Panda 3’s Shark Story, The Revenant, held strong at No. 2, while Star Wars: The Force Awakens, which has featured its share of bear-like creatures over the years, continues to hang in there at No. 3. (“Hang in there” being industry slang for ”steadily creep towards $1 billion domestic and $2 billion internationally,” of course.) That brings Craig Gillespie’s Coast Guard period drama The Finest Hours in at No. 4 with $10 million, an appropriately tepid result for a movie that has been met with a resounding “meh” by the critical community at large. But while $6 million might seem bad, that’s nothing compared to the indignities suffered by the long-delayed Jane Got A Gun, which came in at No. 17 with a bleak $803,000. That’s just behind Norm Of The North, which dropped from No. 9 to No. 16 in its third week and pulled in $925,000, albeit on 300 more screens than Jane. Talk about getting mauled by a bear.